Get ready to camp in the cloud forests above Finca Filadelfia on this overnight tour. Tour participants will camp in a beautiful forested area and enjoy a campfire, story telling, hiking, and other activities. Finca Filadelfia is a coffee farm and resort set in a hilly area outside Antigua. The coffee plantation has existed since 1866 and is one of Guatemala’s oldest. 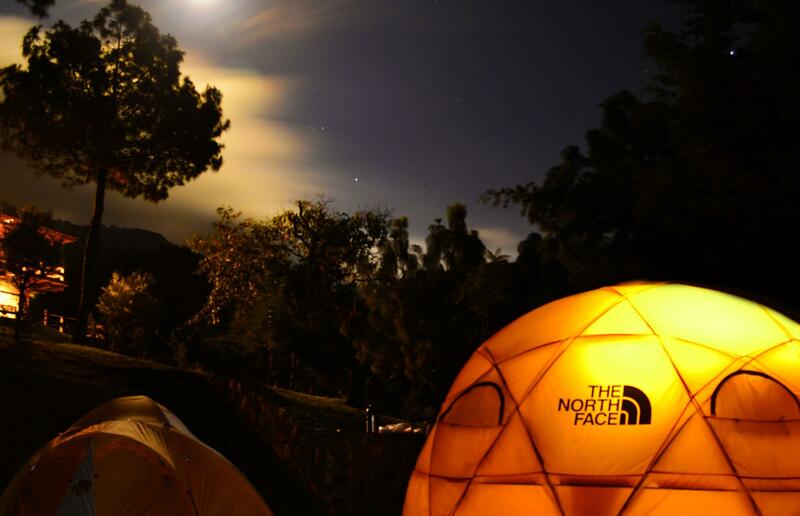 This camping tour is a great way to get outside and enjoy the lovely Guatemalan landscape. A professional, bilingual guide leads the tour and works hard to ensure that all participants have a safe and fun experience. The tour begins with a ride in a Mercedes-Benz Unimog truck. The ride takes about 20 minutes and gives you good looks at the surrounding landscape. The truck stops at a mountain gazebo near where you will pitch your tents. Once here, you’ll set up camp and then go for a hike along interpretive trails in the cloud forest. Cloud forests are one of the most biologically diverse places on the planet; it’s easy to understand this as you walk along these densely forested trails. The elevation here is about 7,000 feet (2,130 m). Later in the evening you’ll make a campfire and your guide will tell you about the traditions and history surrounding La Antigua and Finca Filadelfia. A number of other participatory activities may be enjoyed as well. Do note that this tour does provide tents but does not provide sleeping bags or sleeping pads. Hiking shoes, comfortable clothes, rain jacket, camera, flashlight, camping equipment, sleeping bag, and sleeping pad. Transportation within the farm, bilingual guide, and special activities at night.